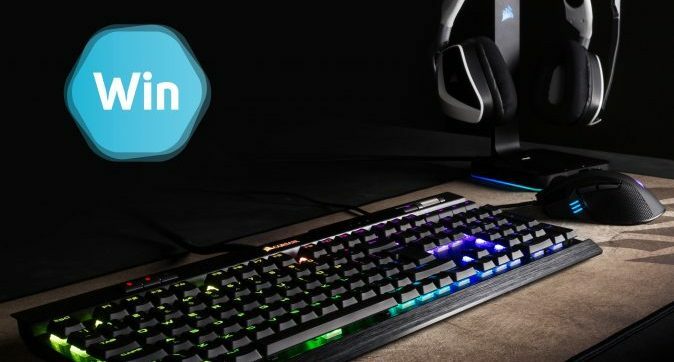 Scan has teamed up with Corsair to gift one of their fans with a brand new gaming peripherals bundle! To enter in this £400 Corsair Gaming Peripheral Bundle Giveaway grab your free entries by following few simple steps listed down below! The HARPOON RGB mouse is built to perform, featuring a 6000 DPI optical gaming sensor with advanced tracking for precise control and lightweight, contoured design to support the quickest of movements. Ideal for FPS gaming, the HARPOON RGB features a 6000 DPI optical gaming sensor with advanced tracking and high-speed motion detection for precise control. Designed to fit naturally in your hand and support multiple grip styles, the upper-surface features a fine textured finish, to provide a slip-free experience for ultimate control. The compact and lightweight body help you with quick reactions and reduce fatigue over time. Not known how a winner is going to be contacted, probably by email and announced in the giveaway widget shortly after giveaway ends.